Ships out within "1-2 Business Days"
Modernize your kitchen by using contemporary design style to bring your kitchen up to date. No modern kitchen is complete without a white glass metal modern backsplash tile. Whether you are looking for a simple, low maintenance design or a truly unique mixed pattern with glass and aluminum. 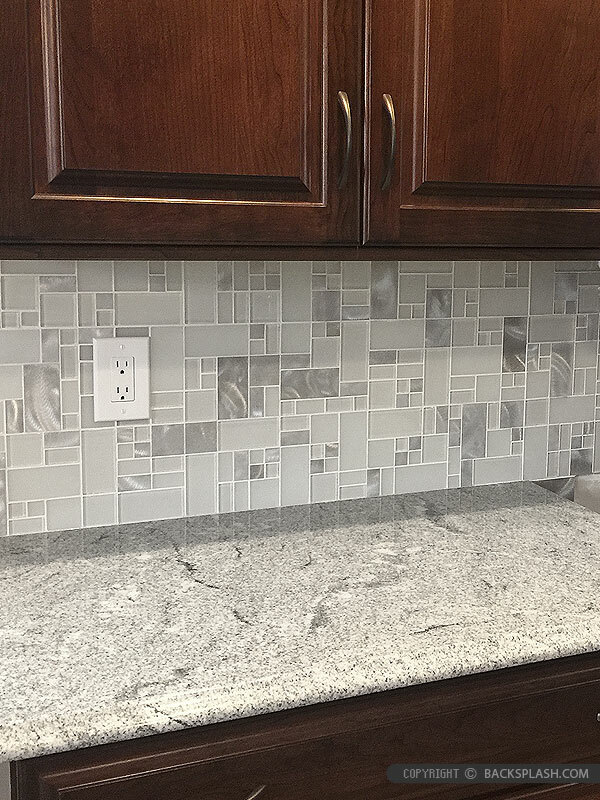 White glass metal modern backsplash tile is sleek, easy to clean, sophisticated, polished and come with gray aluminum inserts. Modern white glass metal mosaic for contemporary to modern homes works well with white or gray quartz countertop and espresso cabinetry.